On October 5, Konami will release the Yu-Gi-Oh! Trading Card Game: Legendary Hero Decks boxed set, which will include three complete pre-constructed decks. The “Fulfill Your Destiny!” deck is designed after the deck used by the character Aster Phoenix. This Destiny Hero deck features Link Monsters and Fusion Monsters to power through defending monsters. 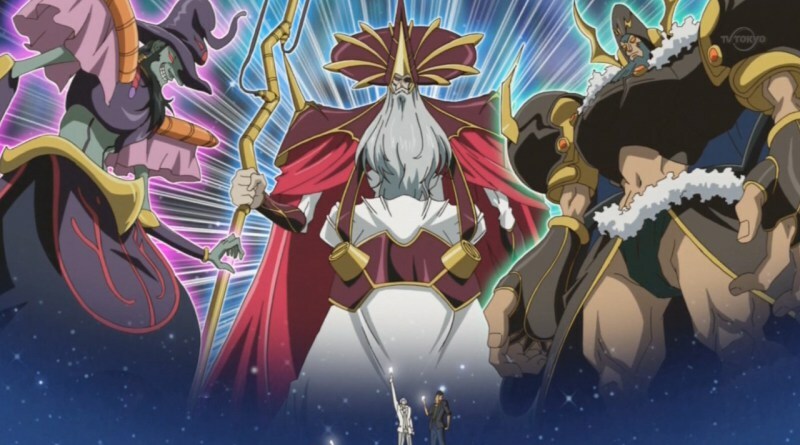 “Return of the Aesir!” brings Thor, Loki, and Odin back into the game, and includes Team Ragnorok monsters, high attack Synchro Monsters like the Ascension Sky Dragon, and a Link Monster designed to help bring Aesir monsters into play. The third deck, called “The Phantom Knights Strike Back!” is built around Xyz Summoning and Trap cards, as well as abilities that take effect once cards reach the Graveyard. It also includes a new Phantom Knight Link Monster. 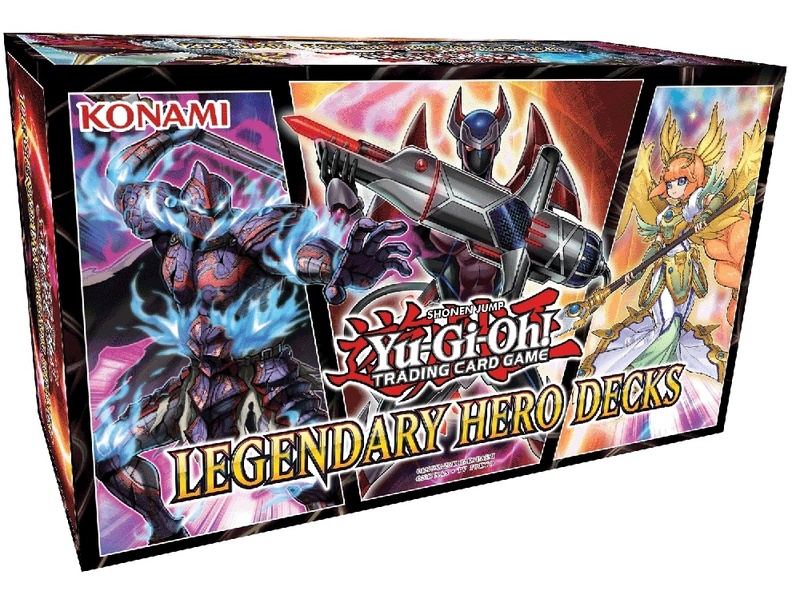 The Legendary Hero Decks boxed set comes with a total of 150 cards. Each deck has 40 cards plus a 10 card Extra Deck, including 5 Ultra Rare and 45 Common cards. MSRP has not yet been announced. The Legendary Hero Decks will be proceeded by the White Dragon Abyss set by one week (see “‘White Dragon Abyss’ Brings More ‘Legendary Duelists’ to ‘Yu-Gi-Oh!’”), which itself will release one week after Konami hosts the 200th Yu-Gi-Oh! Championship Series event (see “Three City Blitz for 200th ‘YCS’”).